Following the introduction of new turntables from both Technics and Sony, Audio-Technica is getting into the fray with a low-cost record player that’ll beam tunes to your Bluetooth speakers. 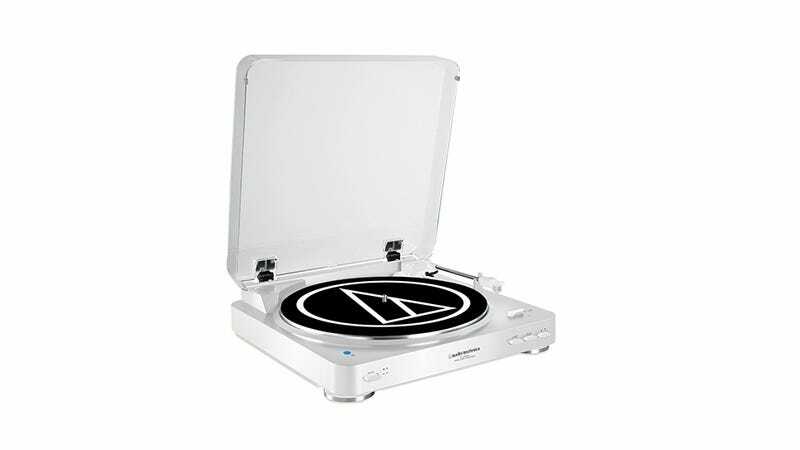 Audio-Technica has been making affordable quality record players—try the LP-120—for ages, and unlike other brands didn’t abandon making them even though the market collapsed. Now that vinyl’s making a comeback, AT is staying in the game and doing one better—looking to the future. The $180 AT-LP60-BT is a decidedly entry level piece with no flashy features, except that it’ll play the music spinning on the platter over your favorite Bluetooth speaker. What else is there to say? It’s not the first of its kind, but it comes from a trusted brand so you know it won’t ruin your (fledgling) record collection.